Minnesota Architects! Your June 30th Renewal Deadline is Only 90 Days Out! Minnesota Contractors, It’s Not Too Late To Get Your CE Done! The renewal cycle for architects in the state of Minnesota takes place June 30th of even numbered years. Architects are required to complete 24 hours of continued education covering approved Health, Safety, and Welfare (HSW) topics with 2 hours of Professional Ethics. This licensing renewal period runs from July, 1, 2016 – June 30, 2018 and is now open for renewal. How do I renew my Minnesota architects license? The state of Minnesota emails renewal reminders each renewal cycle 60 days prior to your license expiration. Architects can renew their licenses online or by printing a form and mailing it into the state of Minnesota Board of AELSLAGID . For late renewals, architects will need so submit a hardcopy of the renewal application to the Board. Any late renewal applications must include proof of the completion of the continuing education. How Many Hours of CE are required to Renew My Minnesota Architects License? 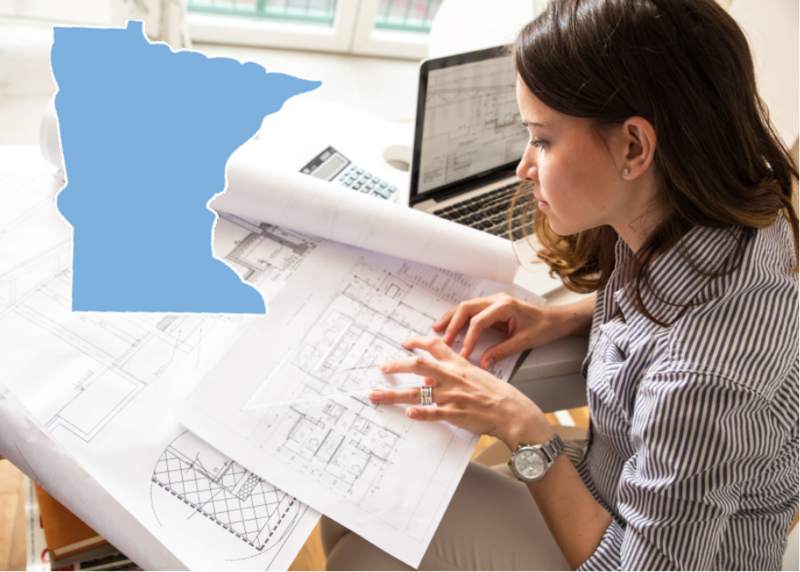 Minnesota Architects are required to complete 24-HRs of approved Health, Safety, and Welfare (HSW) continuing education courses with 2 of those being Professional Ethics topics. Architects Training Institute offers many different course packages and individual course that are AIA approved and fulfill Minnesota Architects license renewal requirements. Minnesota Architects are able to carry over a maximum of 12 PDHs to the next renewal cycle. Along with individual AIA approved courses Architects Training Institute has created 4 different course packages specifically for Architects in Minnesota. These packages range from 8-HRs to 24-HRs and are approved for license renewal.